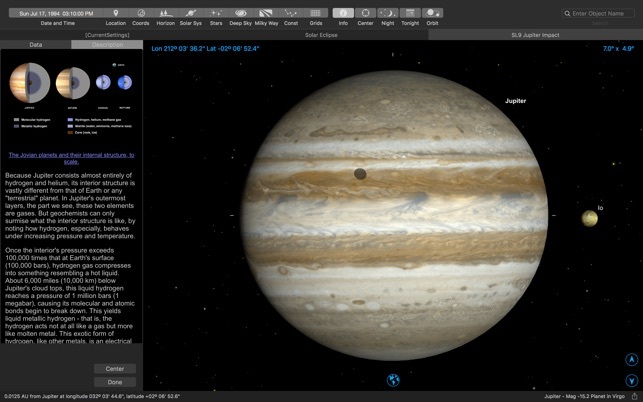 SkySafari 6 is a powerful planetarium that puts the universe at your fingertips, and is incredibly easy to use! 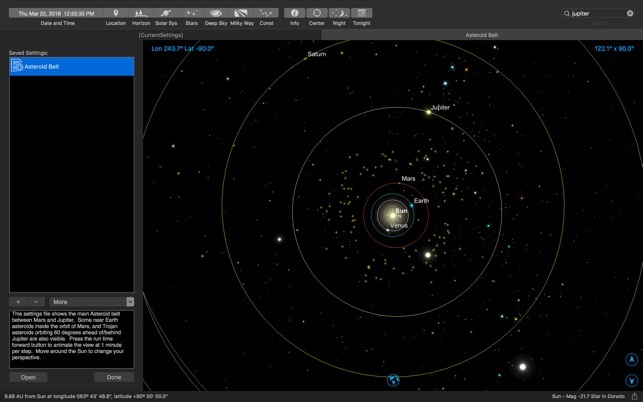 Quickly locate planets, constellations, satellites, and millions of stars and deep sky objects. Discover why SkySafari 6 is your perfect stargazing companion at home or under the night sky. 3) Redesigned look and feel with a dark theme interface. • SkySafari will find stars, constellations, planets, and more! 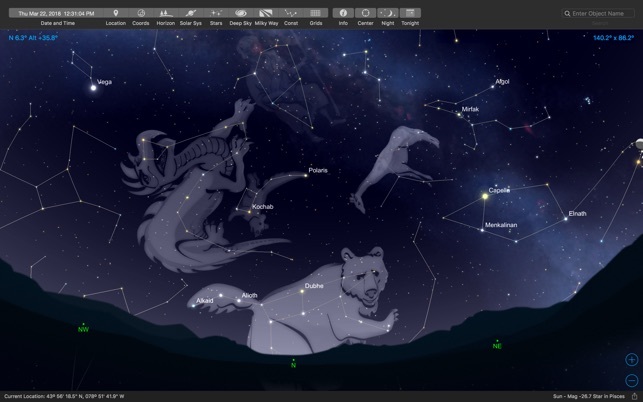 The star chart updates automatically in real time for the ultimate stargazing experience. • Learn about the history, mythology, and science of heavens! 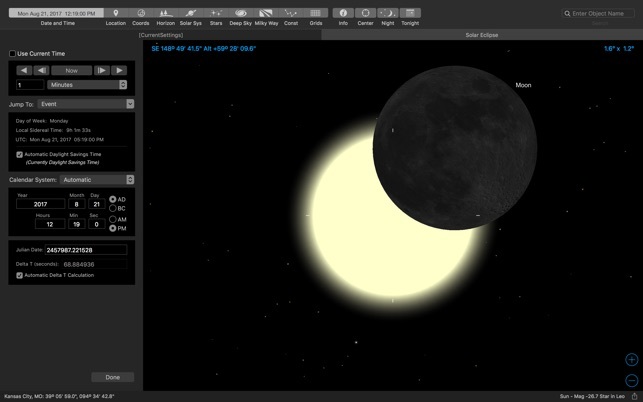 Browse from hundreds of object descriptions, astronomical photographs, and NASA spacecraft images in SkySafari. Explore tons of NASA Space Missions! Stay up-to-date with SkyWeek, for all major sky events every day – miss nothing! 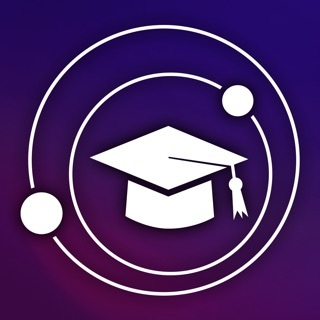 I have this as well as 5 pro for iOS and for the money this app is great. It lacks much of the features of the mor expensive versions of this program but as a beta tester for this before its launch, I can say that it is very stable abd well thought out. However, the music will indeed oput you to sleep as it is very relaxing! Purchase with confidence. It you want to control a telescope mount however, youll need to upgrade. Purchased this app because I’m a novice at identifying objects in the sky. It works well and doesn’t seem to have any bugs. I’m using it on a 2010 MacBook running HIgh Sierra. The features in it are intuitive. One night it showed the Hubble Space Telescope rising; I went out and used the program to orient myself and sure enough, there was the HST. This is an excellent astronomy program, unless perhaps you might be a professional and in need of something rather more powerful. Don't hesitate to spring for this, and it is worth if to purchase the in-house add-ons as you can see fit to do so.